The sunshine finally made an appearance at Day 3 of London Fashion Week- thank God my umbrella wouldn't have matched my outfit! The sunny weather gave me the excuse to wear florals in a rather excessive and flamboyant way which definitely complimented the whole look. Okay so you could argue that florals aren't exactly a "ground-breaking" Spring trend however I gave my look a very quirky twist by wearing a full on head-to-toe vintage floral look. 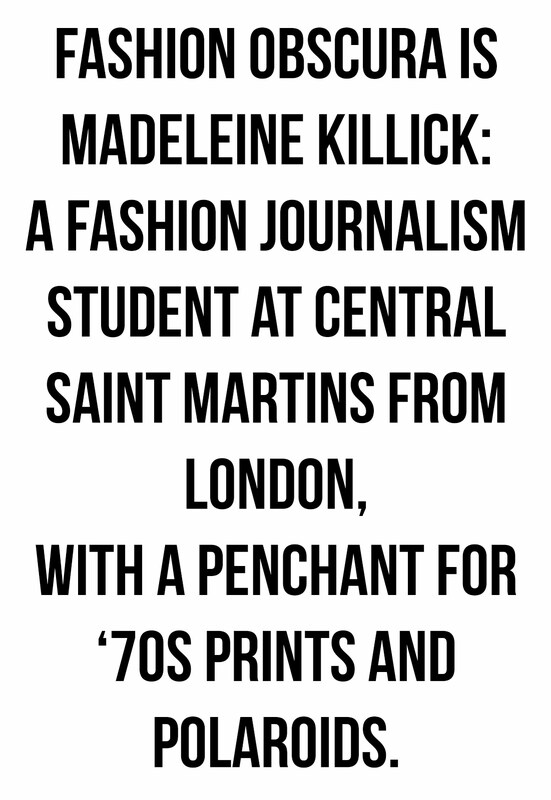 London Fashion Week can be very competitive as bloggers, stylists, models and even celebrities compete over the garments and looks that they wear. I decided to raid my favourite vintage shop "Beyond Retro" and style an outfit with the amazing Naomi Rowland from Two Shoes, One Pair. 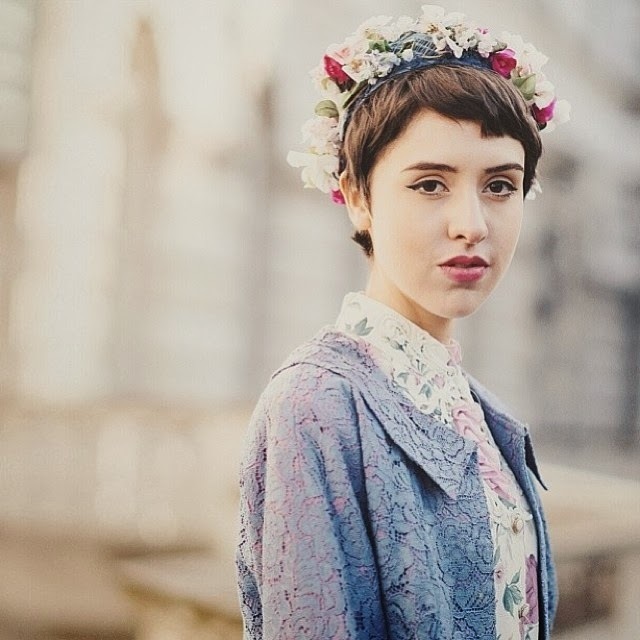 The great thing about vintage clothing is that nobody else will have it! 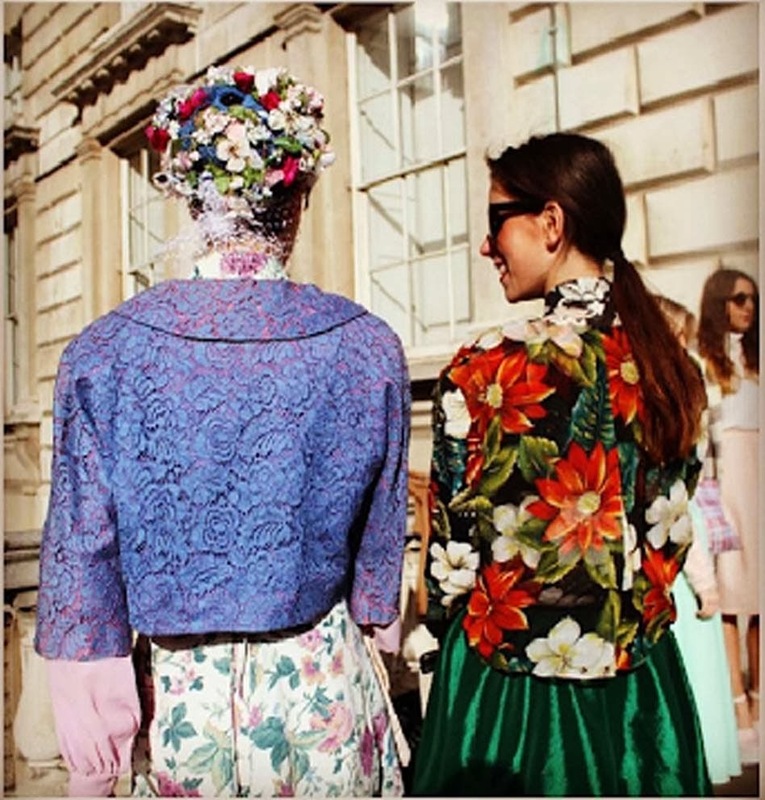 In the end we created a very eclectic look which certainly stood out in the crowds of Somerset House. 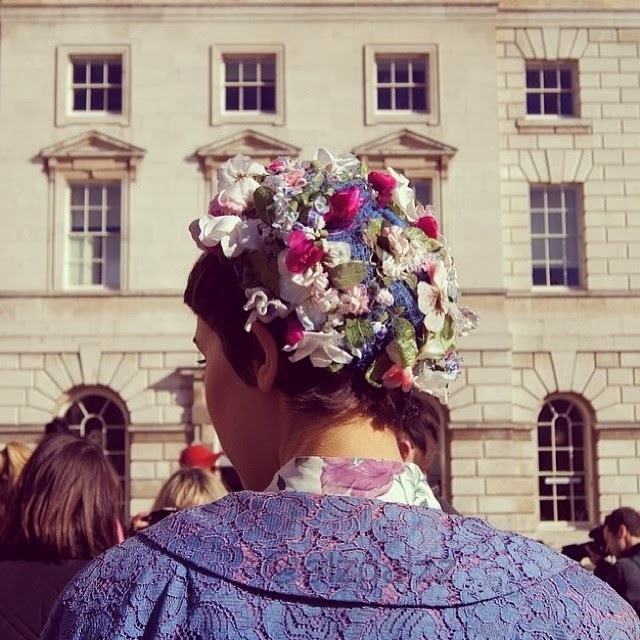 One of the most eye-catching elements of my outfit included a 1950s hat covered in pastel coloured silk flowers- who needs a bouquet when you can wear a mini garden on your head?! I styled the rest of the outfit to compliment the hat, so we paired layered together a pale pink ruffled shirt under a cute floral dress with a blue lace jacket that matched the blue netting of the hat. We then added a few simple accessories including a white belt to accentuate the waist as well as a pastel pink clutch which fitted all of my LFW essentials. I finished the look with some white tights and my favourite silver metallic shoes from Underground. The finished look was certainly distinctive (I received quite a few odd looks by commuters on the tube! ), however I love wearing playful pieces of clothing as they're so much more fun and striking. 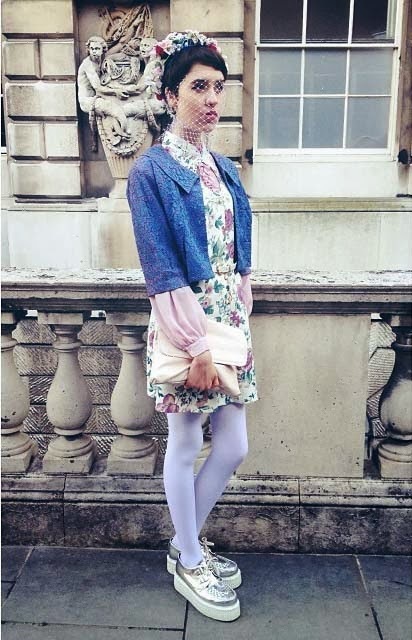 The look was very popular at Somerset House and got photographed by the likes of Vogue, Elle US, Elle Japan, Nylon, Grazia Serbia and many more! I met some very talented bloggers, photographers and illustrators during the day and I'd just like to thank them all for their work which I've displayed on this post. I especially love this illustration by Kami Anderson, she has perfectly recorded all of the details of our outfits including my veil! 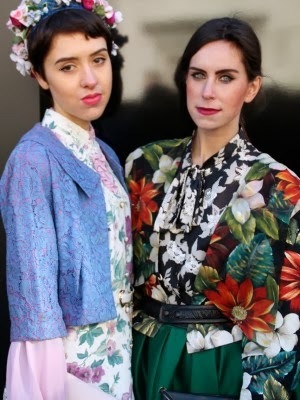 If you loved my outfit you should definitely check out Beyond Retro's collection of floral inspired vintage clothing (here) which are of a great quality, price and look. I love incorporating florals with my style because they instantly add colour and contrast, I especially love to clash different prints together! Florals are going to be a massive hit this Spring and Summer so make sure you get a kick start! 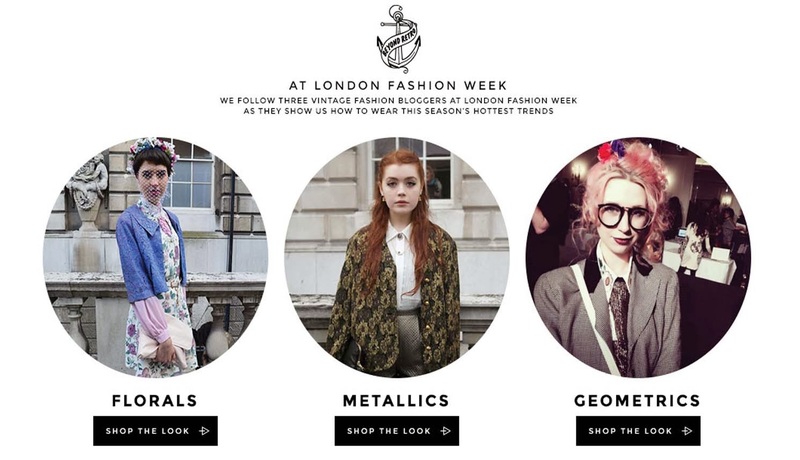 Don't forget to check out my full diary post for Beyond Retro as well and find out all of the details of Day 3 at LFW! I love LFW as it enables me to express my style whilst also meet a variety of new people who share the same passions as me. 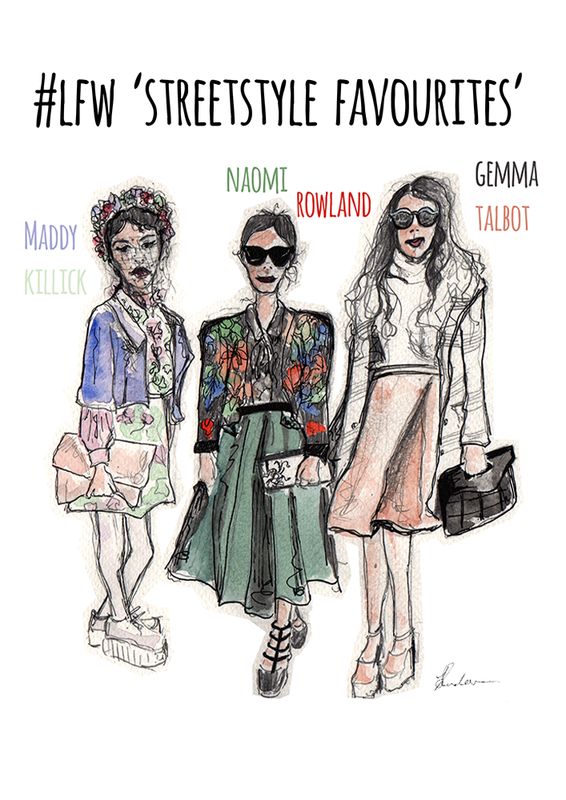 Catwalk shows are fun but I much prefer street style as its so much more personal and unique.